The Houston Texans are expected to take a quarterback with the No. 1 overall pick in this year’s NFL Draft, but they also might looking to work out a deal for another. According to a report by MassLive.com citing a league source, the Texans are interested in New England Patriot’s backup quarterback Ryan Mallett, but noted it’s just "talk" at this point. 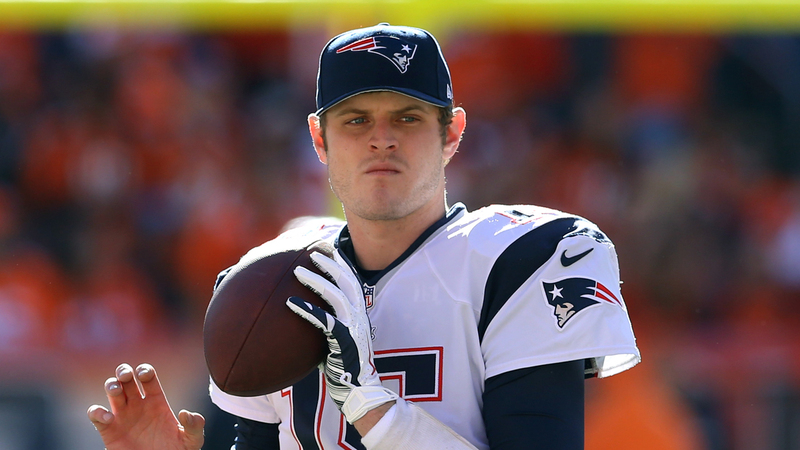 Mallett was a third round pick in the 2011 draft and is entering his final season of his rookie contract with the Patriots. First-year Texans head coach Bill O’Brien briefly worked with Mallett when he was on New England’s offensive staff from 2007-11. Mallett hasn’t see much action sitting behind Tom Brady. He has completed just one pass in four attempts, all which came during the 2012 season. Mallett is a Texas native who was one the nation’s top prospects coming out of high school in 2007. He spent one season at Michigan before transferring to Arkansas. He threw for 3,869 yards and 32 touchdowns his final season with the Razorbacks in 2010.